I recently had the opportunity to review a product called Loopeez. What are Loopeez? They are a shoe tying aid that can help children learn to tie their shoes quickly and easily. I was excited to be able to review Loopeez because my daughter has Autism and with this comes fine motor difficulties. 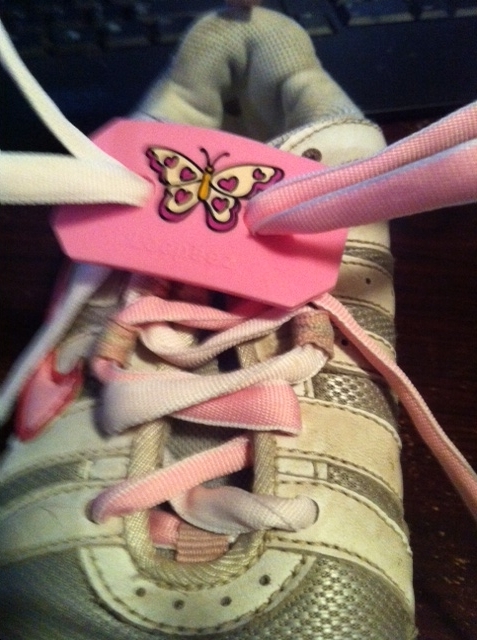 Prior to using Loopeez, I had tried to teach my daughter the concept of tying shoes and while she did understand the concept, she had issues with implementing the concept, holding the laces, remembering the steps, and ultimately her fine motor skills are just not sufficient enough right now for her to tie her own shoes without help. This would cause a lot of frustration so I left the subject alone. Loopeez is a mom invented product that revolutionizes the way kids learn to tie shoes. 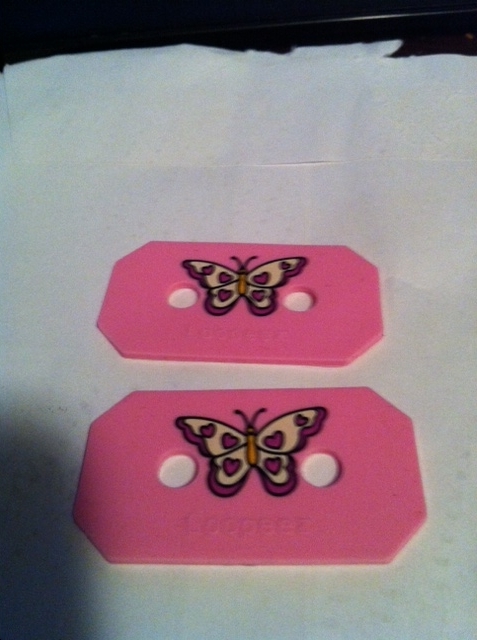 Loopeez is the first shoe tying aid to teach directly on the child's shoe and teach BOTH methods of tying. With Loopeez, parents and kids can learn to tie in a fun way eliminating the frustration of shoe tying. Kids love the cool designs and colors and parents love how fast they work. Kids learn to tie in minutes. Loopeez are also great for special needs, Autism, stroke, arthritis and one handed tying. They also have a new bi-color teaching laces that make learning to tie shoes easier than ever. I got to pick out which set of Loopeez I wanted to review and ultimately picked the Butterfly in Pink. 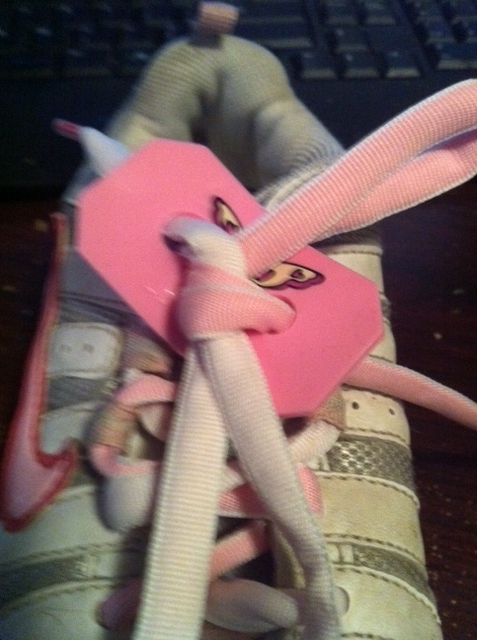 I was also able to pick out a pair of Loopeez bi-color teaching laces and chose the pink/white combination. My daughter was excited because she loves pink and loves butterflies but she lost some of that excitement when I told her what they were and what they were for doing. She got anxious and said she couldn't tie her shoes and would never learn. 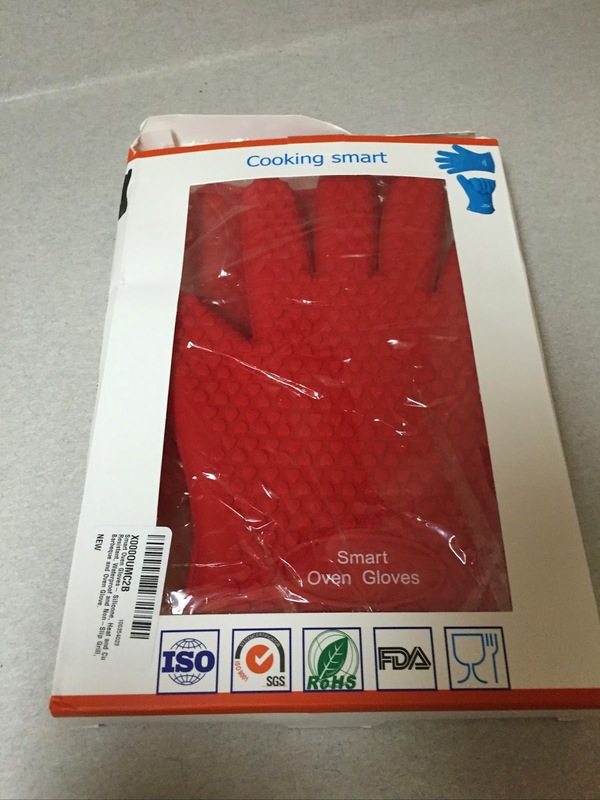 I sat down and read the directions, which are only 5 easy steps! I removed her old laces and put in the Loopeez teaching laces and then worked with my daughter on the 5 steps. 3. 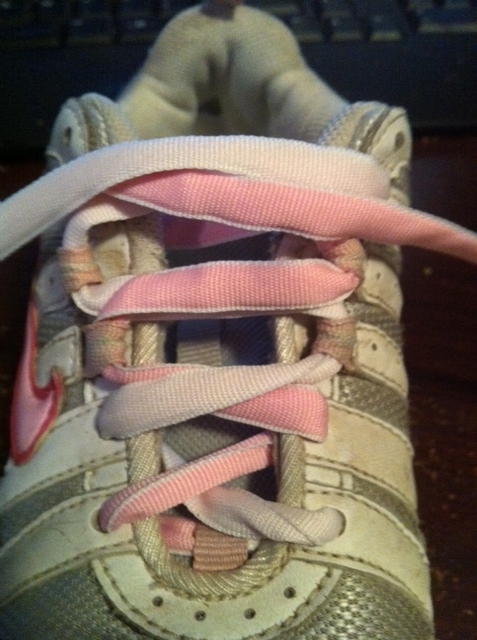 Push shoelace through hole to form a loop, repeat with the other lace. You're done! See how easy? My daughter can now tie her own shoes. With the Loopeez always on her laces, she just needs to do steps 4 and 5 and she's done. She has no more frustration when trying to tie her shoes. I cannot say enough great things about Loopeez shoe tying aid! These would be great for children of any age, especially those with Autism, fine motor skill difficulties, other special needs children or simply any child who is learning to tie their own shoes or is maybe struggling with the concept. I have never seen anything like this on the market before and I am grateful that it exists. Loopeez are available in a few different designs for boys and girls. There are a few different options of colors for the bi-color laces as well. Loopeez come in a set of 2 (1 for each shoe) for $5.95 and the bi-color laces are $4.99 for one pair of laces. 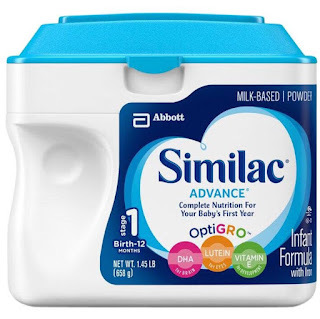 I think the price is fantastic and WELL worth the price. I would pay just about anything that makes my daughters frustration level decrease when doing simple daily tasks and this definitely does! Connect with Loopeez on Facebook or on their website to learn more.